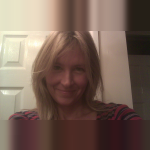 My name is Sharon and I am a qualified Nursery Nurse with many years of childcare and teaching experience. My career history includes tutoring, working with children with complex SENDs and challenging behaviour, and setting up and managing my own pre-school. In addition I have also managed projects for businesses, organisations and the Third Sector which have been child/ student focused. I have three grown-up daughters which means I can work flexibly, including evenings and weekends if required. My experience is diverse and I am happy to discuss this with you in detail should you require me to. I'm a trustworthy, warm, confident, caring person, with a sense of humour and a good work ethic. I can provide references from parents using this service, and welcome the opportunity to meet with you and your family. Please get in touch if you would like to discuss your requirements and chat about what you need . •	Successfully delivered the tailored curriculum of approved ‘Early Learning Goals’ according to the foundation stage of the national curriculum. •	Planned, prepared and delivered the ‘Early Years’ curriculum.
. Prepared and delivered a range of activities to develop physical, intellectual, emotional, social and language skills. •	Provided a safe, stimulating and secure teaching environment. •	Worked with parents through induction evenings, parent’s evenings and other whole school events. •	Tracked and monitored development to ensure the progress of my pupils. • In my time as a Teacher, I have also managed a team of ten nursery staff and project managed the successful delivery of the curriculum. Below are the latest reviews for Sharon. Please note that reviews represent the subjective opinions of other Childcare.co.uk users and not of Childcare.co.uk. Parents must carry out their own checks and references on childcare providers to ensure that they are completely happy before enaging in the use of their services. Sharon currently looks after my daughter while I’m away at work. Sharon is very reliable and flexible. My daughter loves being in Sharon’s company. She is very attentive to her needs. It's been great having Sharon babysit for us and we will use her services in the future. Both children love her and she's attentive to children's needs. Very reliable too. We use Sharon to babysit quite regularly and she is great with our 4 girls. Our youngest is disabled and she has taken all training for her care in her stride with confidence.